On Friday, Texas Governor Greg Abbott contacted ten megachurch pastors about Texas HB 2899. Abbott told the pastors the bill was being held up by the Speaker of the House and asked the pastors to persuade their congregations to oppose it. Robert Morris, pastor at Gateway Church in Southlake, called HB 2899 “the bathroom bill” and urged Christian church goers to voice their opposition to their representatives. Watch Morris urge his congregation to call their legislators. Also I want to let you know something that um, I’m gonna ask you to do something. Governor Abbott called me yesterday, uh, he’s calling-he called ten churches, um, that are mega-churches here in the, in Texas, the state of Texas. Uh, and there’s a House Bill right now, that we need to let our representatives know about, and bring it to the floor for a vote. It’s being held up right now by the Speaker of the House, and I’m saying that, uh, the leader of the House, um, I’m saying that– that is, in the state of Texas, okay, this isn’t Washington, this is Austin. 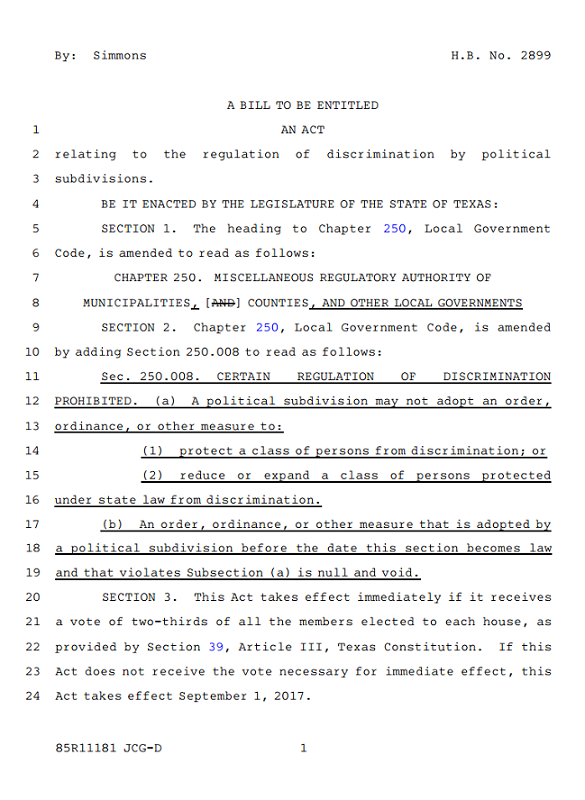 Uh, but, it is 2899, HB2899.